Our friends at Preston & District MG Enthusiasts Club have been in touch and asked if we could pass on their invite to Lancashire Automobile Club members to their Lancashire Lanes Run. The event will be on Sunday 30th June starting from Barton Grange Hotel on the A6 just north of Preston. They offer a choice of routes (48 or 76 miles) through some of Lancashires lesser known lanes. The event returns to Barton Grange for a drink in the grounds followed by an optional two course meal. 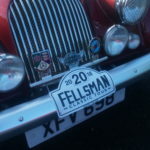 Entry fee is £20.00 per car (2 occupants) which includes Tea/coffee with biscuits Rally Plaque and Tulip style route book. Additional passengers £2.85 to cover cost of tea/coffee. All Marques are welcome so you don’t have to be in an MG – they even let Jan’s FIAT Spider join in last year! The Legend Fires North West Stages Rally returned last Friday/Saturday 22/23rd March after a years break. The event was the first ever closed road special stages event in the north of England and was something special. With a quality entry of 120 cars, 50 stage miles and 12 stages on some fantastic roads it was a thoroughly enjoyable day of rallying. As usual the Lancashire Automobile Club has played an important part in the safe running of the event with not only our regular marshals out on the event but also in the events organisation. The LAC team was at Staynall covering two sectors and by all accounts had a busy but never the less enjoyable day. The event comprised of both spectator and non spectator stages around the Fylde and Lancaster. The ceremonial start was on the Friday evening in Garstang where cars were on show before taking their place on the starting ramp. The event itself was centred on Myerscough College where the Saturday start, major servicing and finish were held. Spectator stages were at Staynall (Stalmine) and Nick Nook (Scorton). Each stage was used three times throughout the day so there was plenty of opportunities to see all the cars and possibly move to the other spectator stage. Lancashire Automobile Club Members have been invited to take part in the Annual Classic Cars and Motorcycles Show on Lytham Green on Sunday 23rd June. The show commences at 09.00 and lasts till 16.00. Entry is £10.00 for pre resitered entrants and £15.00 on the day. Entry form can be accessed via this link. Something for classic owners to enjoy! 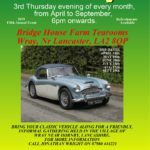 On the third Thursday of every month from April to September from 6.00pm there s a classic get together at The Bridge House Farm Tearooms, Wray, near Lancaster LA2 8QP. The organisers have invited LAC members to bring along our Classic Cars for a friendly informal gathering. For more information contact Jonathan Wright on 07980 444221. As many of you are aware we are a member of the Federation of British Historic Vehicle Clubs who represent the interests of should we say the older motoring fraternity (at least in terms of car age) at a national level. The Federation have annual meetings attended by motor club representatives and this year Adrian attended on our behalf. Speakers come from a variety of different parties all of whom have a common interest in motoring. As you can see from Adrian’s brief report the agenda covered many areas including the FBHVC, the DVLA and motor insurers. We are grateful to Adrian for giving up his time to attend this meeting representing the LAC. The DVLA processes 86,000 licences per day and historic vehicles account for less than 1% of the DVLA’s work, which is not so easily automated. The DVLA, not surprisingly, would like to see more effort from historic vehicle owners in their submission of vehicle information. The other side of this coin is that the DVLA is considering the issue of written guidelines on the re-registration of historic vehicles, which would speed up the registration process. Paul referred to the most recent survey launched at the Lancaster Insurance Classic Motor Show 2018, which revealed that 1,039,950 historic vehicles are registered In the UK. There are 500,000 owners completing an average of 1,124 miles pa in their historic vehicles. The total spend is £5.5bn pa. In 1962 Gavin, along with a few close friends, decided to put leaflets out under car windscreen wipers, in the village of Longton asking for anyone interested in forming a motor club to attend a meeting in a local pub. Sure enough, a small group attended the meeting and in doing so Longton and District Motor Club became a reality. It was registered with the RAC in the autumn and primarily with Gavin’s drive and enthusiasm the club grew and developed. Key personnel who helped him from the beginning included names many present members will not know – but Tony Bostock, Ed Hardman, and Ted Gardner were the ones under Gavin’s guidance and between them forged the future for the sport in the area. The black horse badge of the club came from the sign of the Black Horse pub on the Liverpool Road at Hoole, as a result of his moving our meeting place there, after outgrowing the original venue. Gavin was the first Chairman of the club and saw it take on car shows, autotests and ‘plot and bash’ road rallies. His interest in the rally scene became a major part of his life. Clubs were clashing over dates so another idea of his was to form the SD34 Group of clubs to iron out the problem – it worked, and the Group is still going strong. He also became involved with the Ford Motor Company’s efforts to encourage local distributors to run rally departments, and he was taken on to run the Thomas Motors of Blackpool efforts in this field. He also made it into F1 managing the Surtees team for a season. Although Gavin had drifted away from being able to attend the Longton club he presented it with a superb trophy on its 21st birthday – The Founders Cup which is still presented annually to date. Over the years Gavin diversified into different ventures including tile companies (those of you old enough will remember the ‘Lees for Tiles’ SD34 Inter-Club League) and agencies for powerboats, spending a lot of time abroad. Gavin was a moving force behind the Longridge Motor Racing Circuit which was initially used for Karting. At Gavin’s instigation the track was widened and then used for sprints. 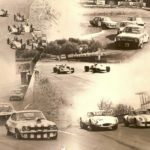 His ultimate aim was to get full circuit racing there and this was accomplished when the RAC granted a licence to the track; initially entries were limited to 6 cars. Later entries were increased to 8 then ten cars with Formula Libre being a highlight. Finally motor cycle racing was allowed before the circuit finally closed. Many of the Longton & DMC’s early members and officials learned a great deal from Gavin and the organisation owes its existence to him. His funeral will be held at Lytham Crematorium on Monday 11th February, followed by lunch at the Ship Inn at Freckleton. Longton & DMC will be making a donation to the Rosemere Cancer Foundation, Royal Preston Hospital. At the 2018 Sportsman’s Lunch the ‘Peter Collins’ Trophy and replica was presented to our guest speaker, motorsport legend, Brian Redman by his long term friend Mike Wood. Several people asked about the Trophy and its history. There is a nice tie in to Brian in that the Trophy was won by Peter Collins in 1958 shorly before his career was tragically cut shot and Brian’s own career was just begining. So here is some information about the career of Peter Collins and the Trophy itself. The Lancashire Automobile Club is proud to present the ‘Peter Collins Trophy’ annually. It is presented to a member of the Club adjudged to have shown the most meritorious performance during the year. Some people may wonder who Peter Collins was and how the Club came to be in possession of such a prestigious trophy. Firstly the man. Peter Collins was born in Kidderminster on the 8th November, 1931 to well known motor trader, Pat and wife Elaine. Young Collins got his first racing car, a Cooper Mk II, in 1948, apparently a birthday present from his parents. His father’s bought Stirling Moss’s old Mk II, and the pair would make their debuts early in 1949 at the Goodwood Easter Meeting. The Mk II wouldn’t last long, by June it had been sold to Bill Cox and replaced with a long chassis Mk III, initially fitted with JAP twin for hillclimbs. For 1951, he used a JBS, which had looked set to genuinely challenge Cooper, but his 500 career was almost over, having been spotted by the big teams. Peter won the SUNBAC race at Silverstone in September and his cup is still presented annually for the most meritorious drive of the season. On the recommendation of Reg Parnell, Collins had been taken on by John Wyer for the Aston Martin sports car team. He was a fine endurance racer, taking the Aston to victory in the 1952 Goodwood 9 Hours race, the 1953 TT, and second places at Le Mans in 1955 (with Paul Frere) and 1956 (with Moss). He would also appear in sports cars for Ferrari and Mercedes. Peter was already a grand Prix driver, having made his debut at the age of just 20 (and only two seasons of racing) with the HWM-Alta. Spotted by HWM founders John Heath and George Abecassis (both also early Cooper customers), young Collins had partnered Moss and Lance Macklin through the 1951 European F2 season. When F2 was adopted as the World Championship category for 1952, he found himself a Grand Prix driver. His best Championship finish that year was a sixth place in the 1952 French Grand Prix. For 1954, he was recruited by Tony Vandervell to drive the Thinwall Special. This 4.5 litre, Ferrari-derived beast ran in the popular Formula Libre class, where Peter embarrassed the high profile BRMs. That same year, he was also the first to drive the original Vanwall Special that was designed for Formula 1. Peter was entered in three Grand Prix, but this original car was not a pacesetter until Colin Chapman reworked the chassis and Frank Costin clothed it in the aerodynamic bodywork to create the classic Vanwall. Peter would never drive this car, having been poached by BRM for 1955. This proved a mistake as he raced the V16, and was left kicking his heels waiting for the new Grand Prix Type 25. He made two World Championship appearances in the Owen Maserati and a works 250F drive in the Italian Grand Prix but this was good enough to land him the prize of a works Ferrari drive for 1956, partnering Fangio. Peter was, in fact, recommended by his great friend Mike Hawthorn, who wanted to return to Britain to support his recently widowed mother. Partnering Fangio, Peter matured dramatically as a driver, he won at both Spa-Francorchamps and Reims, and went to the Monza finale with a chance of taking the title. What followed has become legend. When Fangio retired with steering failure, it was clear that taking the win and extra point for fastest lap could deliver Peter the Championship. By lap 30 of 50, he was into second place, and whilst Moss’ Maserati was some way ahead, it was not impossible. Indeed, on lap 45, Moss ran out of fuel, only for his team-mate Piotti to tuck in behind and shove him back to the pits. Fangio, meanwhile was expected to take over Luigi Musso’s car, to seek the one point that would retain him the title. But Musso ignored all instructions to hand over his car. When Collins came in on lap 35 for a tyre check, he spotted Fangio on the pit wall, and voluntarily offered his car, so giving up any chance of the title. A remarkable gesture of sportsmanship. This is the kind of spirit which deserves the Lancashire Automobile Club awarding the Peter Collins Trophy! For 1957, Fangio was replaced by the returning Hawthorn. The Lancia-Ferrari was rather outclassed by Fangio’s Maserati, and the Vanwall, but whilst seeing no wins, Peter again played his part in history. At the German Grand Prix, Fangio delivered one of the greatest drives of all time as he fought back from a botched fuel stop, passing both Collins and Hawthorn on the penultimate lap. Also in February of that year, Peter married an American girl, Louise Cordier, an actress playing in the “Seven Year Itch” and daughter of the assistant to the United Nations Secretary General and they were the golden couple of the time, living on a yacht in Monaco harbour. For the 1958 season Ferrari entered the Dino 246, and a titanic battle developed between the Ferraris of Peter and Mike on one side, and the Vanwalls of Moss and Tony Brooks on the other. Peter suffered reliability problems in the early races, but it all come together at the British Grand Prix, and he scored his third win. Peter found time to compete in ‘club’ events and it was at the Daily Express meeting at Silverstone he won the International Trophy Race and was awarded the Daily Express Trophy. On the 3rd August 1958, Peter and Hawthorn were leading at the Nürburgring, just as a year previously, this time being chased down by Tony Brooks. Brooks took the lead early on the eleventh lap, but Peter was fighting back. Peter’s got the car loose through the twisty Pflanzgarten sequence, he tried repeatedly to collect the car, but clipped a ditch. The car somersaulted, throwing Peter out, head first into the one tree standing clear of the forest. Peter Collins died later that evening in hospital. Though just 27 years old, he had won three Grand Prix, and would undoubtedly have been a championship contender for many more years. Mike Hawthorn, who had seen the accident unfold, was devastated at the loss of his friend. Although he completed the season to become the first British World Champion, he was ready to retire from the sport. Of course, just a few months later he was also killed, driving his road going Jaguar near his home in Farnham. The story of Peter Collins and Mike Hawthorn is told in Chris Nixon’s book “Mon Ami Mate”. Peter Collins’ grave is in Stone Church grounds, near Kidderminster. There’s a stained glass window in the church to commemorate his life. As a lasting tribute the Collins family passed many of Peters trophies to leading motor clubs. 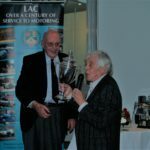 The Lancashire Automobile Club was honoured to receive the Daily Express Trophy awarded for his win at the International Trophy Race held at Silverstone in 1958. This trophy is awarded annually by the Club to the club member adjudged to have show the most meritorious performance during the year to reflect in some small way not just Peter Collins achievements but the manner in which he achieved them. The event reached a landmark milestone during 2018 – twenty five years since the first running – and what better way to celebrate than to enjoy another cracking navigational event comprising great roads, great cars, and a meal at the end in the company of like-minded friends. To coincide with this notable anniversary, clerk of course and route meister-in-chief, John Hartley, introduced a new feature in the form of a novice instruction book. The idea was intended to attract new entrants who could have all the enjoyment of the event whilst giving them the confidence to tackle the more traditional plot and bash in the future, and the navigational school held during March was intended to support this thinking. Whilst the majority of the entrants opted for the traditional approach a number selected the novice option and judging by the feedback enjoyed the event. The event started at the Stirk House, Gisburn, with a bacon butty breakfast, before heading through Bolton by Bowland and North into the Lune Valley via the Stocks Reservoir road crossing the Lune at Hornby. From there it went via Over Kellett, Priest, Hutton and Beetham to follow the coast road at 6m altitude to lunch at the Heversham Hotel. Once fed and watered, and taking the mandatory time for lunch, the entrants set off over the Helm with views over Kendal and further to the Southern Lake District. From here the route crossed the M6 to skirt Sedburgh then into Barbon Dale and back to the A65 and Ingleton. Some new and convoluted lanes to Clapham then to Rathmell via Giggleswick, round the Paythorne square and back to the finish at the Stirk House to celebrate with a few drinks, a meal and a good old chat. This event has a special place within the sporting calendar and the club is committed to its continued existence but can only do so with more participants. So the clarion call is for all those who fancy doing the event, but haven’t yet done so, to consider making 2019 the year when you put this right and appreciated what others have loved for so long. The organisers are extremely grateful for the support and sponsorship from Bowland Brewery for enabling the event to take place. A casual comment at a FellMog noggin led to team Baverstock signing-up for the Lancashire Automobile Club Highland Three Day Classic Tour for September 2018. 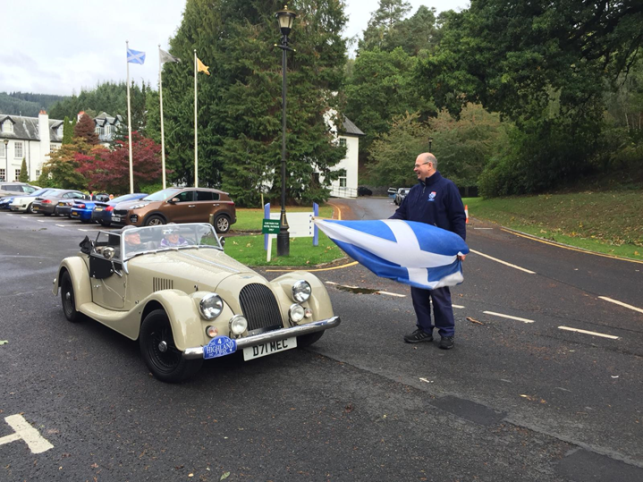 We were assured that our car, a well sorted but fairly standard 2011 Morgan +4, was suitable for the event, though a fire extinguisher, first aid kit, warning triangle and hi-vis jackets were compulsory and might be checked at scrutineering! We later observed that some of the other entrants sported full four-point safety harnesses, Halda rally computers, extra spot lights and old rally stickers. This suggested that the event was perhaps not just a gentle amble through the glorious Scottish countryside. Though not classed as a rally, having a MSA certificate of exemption, we soon realised that it would be rather different from our leisurely FellMog tours of France and Spain. First Lesson: although it was described as a three day event, it actually covered four days – the first day, day Zero, being optional, though most entrants chose to take part. Day One – or Day Zero depending how you looked at it – had us assembling at a rather nice hotel near Dumfries ready for a leisurely dinner and an early night in preparation for an early start the following day. However this was September 19th and Storm Ali had just passed through parts of the UK doing considerable damage. One victim was that night’s hotel which had lost its electricity supply, giving the event organisers the challenge of finding alternative beds for fifty plus people at very short notice. To their credit this was achieved although we ended up sleeping at Cumnock, fifty-four miles away. A late evening drive and an extra early start the following morning got us back to the planned destination for the beginning of the event. A flexible attitude was obviously going to be an asset over the next four days! This was our first experience of Road Books and Tulip Diagrams and we were grateful for some earlier informal training from a relative experienced in the world of historic car rallies. The first day’s driving took us on a devious route through South West Scotland to Dunkeld: about 200 delightfully traffic free miles, unintentionally made even more complicated by a tree-blocked road within the first thirty minutes. The highway authorities were struggling to cope with the damage caused by storm Ali. A light lunch was provided each day but before that we had our auto tests; the first organised by Monklands Sporting Car Club MSCC at Forrestburn Sprint Circuit. This tight and hilly circuit would have been challenging at speed but regulations required a modest, say 5mph, approach, the aim being to achieve the same time on two separate runs – in our case without the use of a stop watch. We also had our first experience of a special navigation section which was an intensive route planning and driving exercise using OS 1:50,000 map sheets following often obscure clues devised by John Hartlay. Our splendid hotel that night overlooked the River Tay and offered guests a wee dram on arrival – all very Brigadoon and our favourite hotel of the tour. At breakfast the following day we were supplied with maps and instructions for another navigation section in addition to the now familiar Day Book. Being new to this event we concentrated on our Full Scottish breakfast but did observe many other entrants paying more attention to their maps than to their food. We had much to learn! These navigation exercises were challenging in preparation – and on the road. Lots of lateral thinking, but we enjoyed the challenge and looked forward to that part of each day. Surprisingly, we only dropped one point in the three days. The next two days followed the same pattern of Day Books and Navigation Exercises as we progressed through the Highlands, driving between two and three hundred miles each day but always arriving at our overnight stop in time for a relaxed and leisurely evening in good company. The organisers had us driving some amazingly quiet roads including the Pass of The Cattle at Applecross. Two nights were based at Elgin before we returned to Dunkeld for the final night. Each day’s optional auto test took a different form. One in the carpark on Cairngorm in very heavy rain. Another on a circuit at the Grampian Transport museum at Alford. The museum was well worth looking round and curiously, being so far from Lincolnshire, contained the Guy Martin car and bike collection. Plus that wonderful Spitfire engine from the TV programme. Over the four days we got to know several of the other entrants. They drove a mixed bunch of interesting cars – a good number of English sports cars including one E type, one XK140 and three Healeys. Two other Morgans took part besides us, one a 1982 4/4 hired for the event by a couple from Canada. They obviously enjoyed the experience and talked of buying a Morgan to add to their collection of English sports cars. Once Storm Ali had passed, weather for the event was, well, very Scottish and we were grateful for our easy-up hood which spent significantly more time down than up. Dinner at Dunkeld on the last night was more formal than on the other nights: an excellent meal, a few speeches and some presentations, to a background of photographs of the last few days. Comments were heard as to how often those photogenic Morgans, appeared on the screen! Only at that point did we realise that although the event was, as the Clerk of the Course emphasised, ‘not a competition’ there was a results sheet and some trophies for the Gymkhana! The ‘winner’ drove a MGCGT and the close runner up a highly desirable 1977 Alfa Romeo GTV. And somehow, we still don’t quite know how, we managed to come sixth out of the 25 cars that finished the event. Did we ‘quite enjoy’ the event as was originally said? Understatement – we enjoyed it greatly –it was tremendous fun and if we are accepted for 2019 we’d sign up without hesitation.